In late November, as my several-month stint in Paris was coming to a close, I felt far from ready to leave. Perhaps it was due to the fact that fall had flown by, or that I had met a sweet Frenchman. Likely both. So when he propositioned we take an overnight jaunt outside of Paris a mere week before I my return to New York, I was torn. I wanted to see a handful of friends before I left, after all. And how appropriate a goodbye can be said from hundreds of kilometers away? But I swiftly realized spending half the weekend coast-side and half back in Paris was sort of perfect. And we had a set of wheels to boot, the biggest obstacle to making these city escapes happen when home in Brooklyn. Driving through the outskirts of Honfleur elicited a pang of premature skepticism. Low-standing semi-modern commercial storefronts dotted the main road leading into the town, and I couldn’t help but wonder, “maybe my co-pilot navigation skills failed us and we’re in the entirely wrong place?” But just minutes later, it became abundantly clear that we were exactly where we were supposed to be. 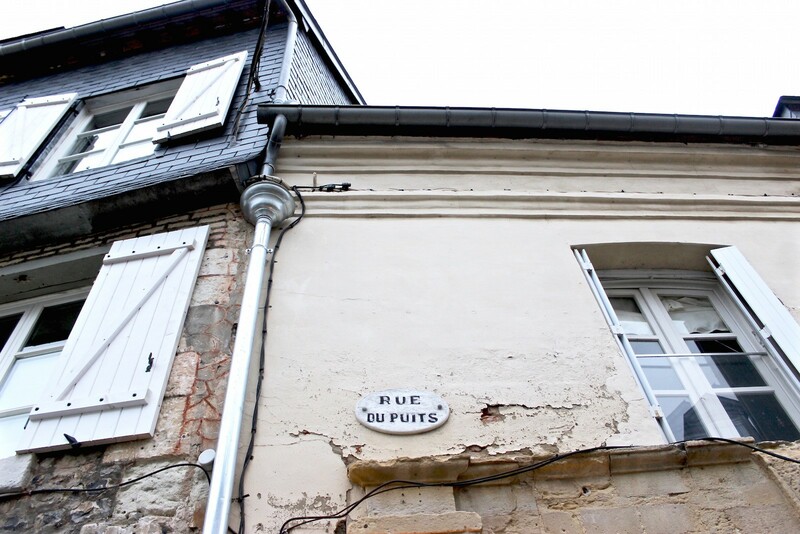 The heart of this pint-sized town, located in the Calvados region along the estuary of the Seine, is perfectly quaint. It’s no wonder Eugene Boudin, Monet, and other notable Impressionists chose it as both home and subject. It’s a wonderful mix of old and new, with the Church of Sainte-Catherine – France’s oldest all-wood church – standing alongside funky independent art galleries. 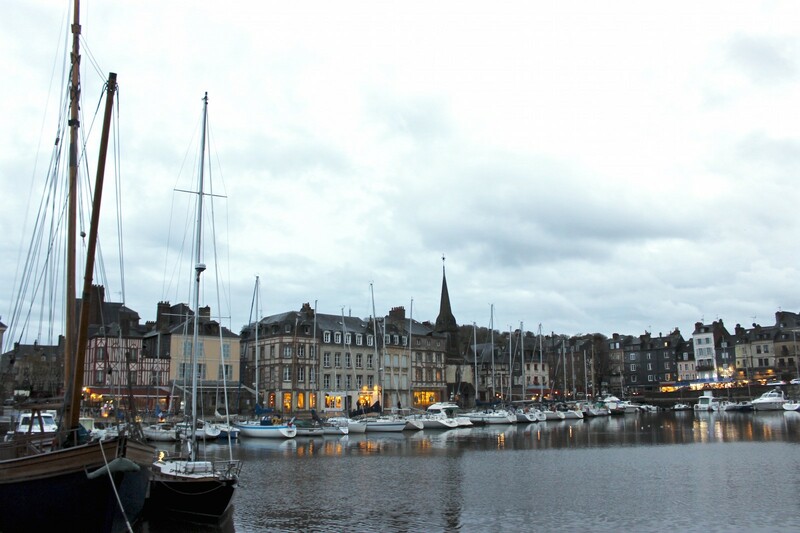 Though I spent just 24 hours in little Honfleur, it was truly lovely. We strolled the town, admiring the half-timbered architecture. We caught pre-dinner live music at one of the town’s only watering holes, Le Vintage Café. We enjoyed a traditional and no-frills dinner at Au Bouillon Normand. 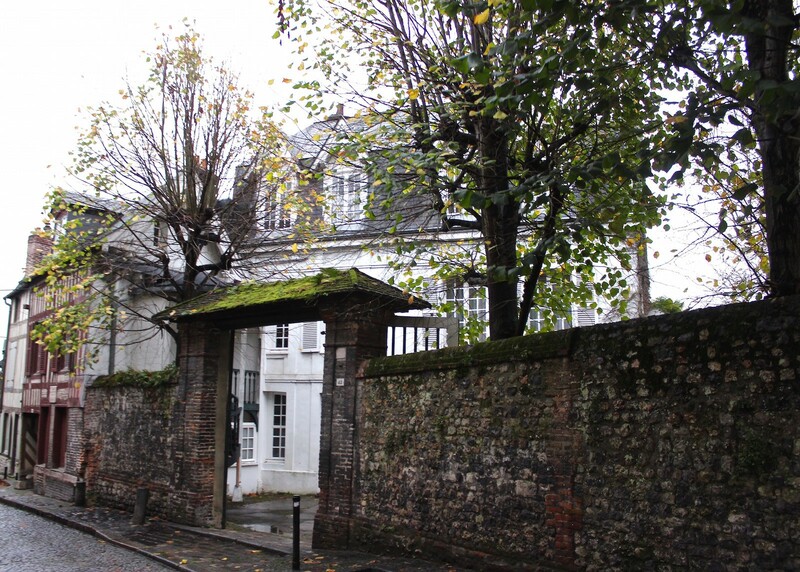 But the highlight of the trip – aside from the obvious joy of a first weekend away with a new beau – may have been the charming maison d’hôtes we had the fortune of calling home for one night, La Cour Sainte Catherine. The next morning, after taking our homemade breakfast in its dining room – a delicious meal that had little in common with that this American knows as “continental breakfast” – I stocked up on Calvados and Pommeau to bring back for Thanksgiving with my family. A week later, as I sipped the pungent digestif post turkey in Upstate New York, my heart warmed recalling this sweet weekend away. Or maybe it was just the alcohol working its magic on a full stomach. Looking for other weekend trips? Here’s our round-up of several day trips around Paris. 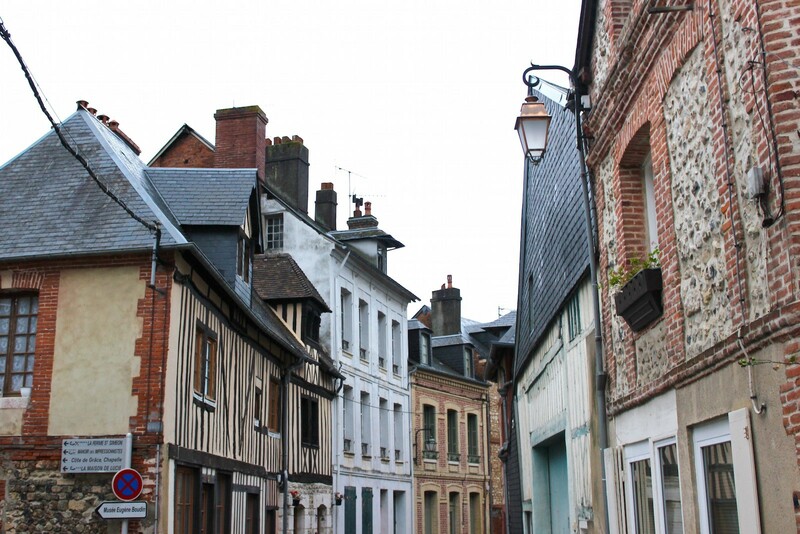 If you head to Normandy, don’t miss out on Brocante shopping for antiques and furniture. 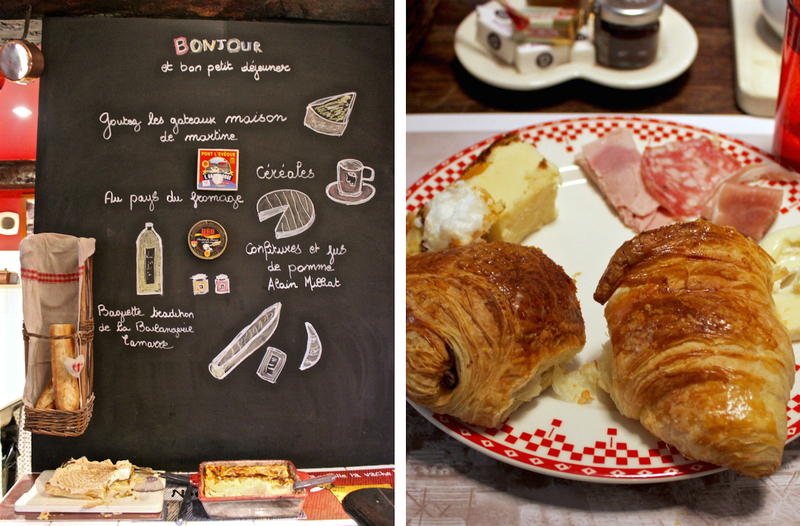 Useful tips for eating out in Normandy and need-to-know food vocabulary. Written by Erin Dahl for the HiP Paris Blog. All photos by Erin Dahl. Looking for a fabulous vacation rental in Paris, London, Provence, or Tuscany? 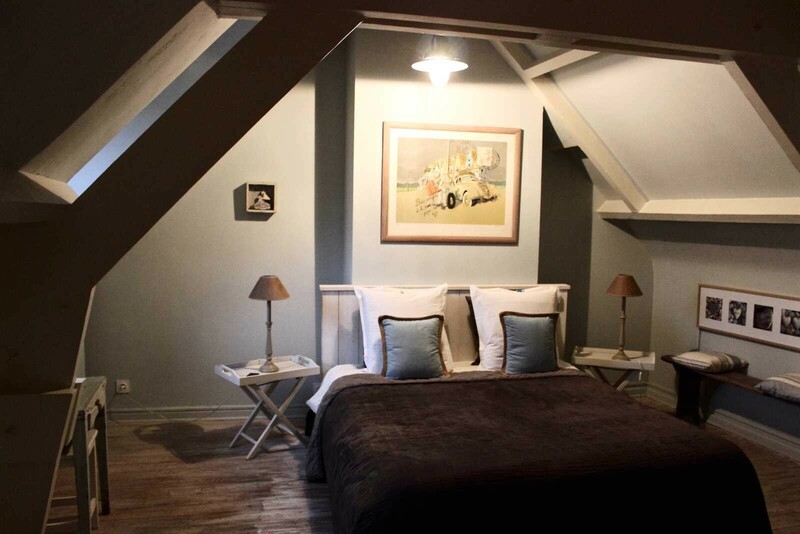 Check out Haven in Paris. 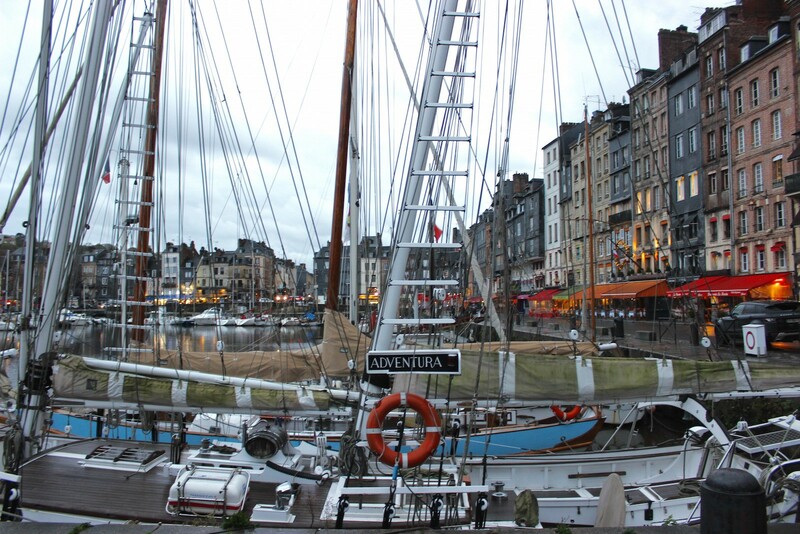 Honfleur is so very charming, as is that entire section of France, Deauville, Trouville, and the pastural lands leading to them. It’s amazing it is so close to Paris. I spent a weekend there alone when I was there on business, I bought bottles of Calvados at the local market to bring home as well. I’ll never forget the Tarte Tatin I had that weekend, or maybe it was more the cream on the Tarte Tatin…. thank you for reigniting some wonderful memories.